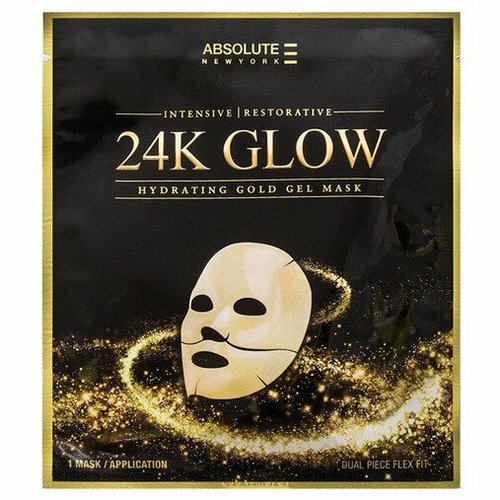 Absolute New York 24K Glow Mask. Drench your skin in gilded luxury. This illuminating gel mask boasts an intensive formula that is infused with skin-softening extracts and rejuvenating botanicals for deeply penetrating hydration. A boost of real gold locks in skin's elasticity, while adding a touch of luster, for noticeably healthier and radiant skin. The unique gel texture, and dual-piece design, allows the mask to better adhere to the contours of the face, for effective, targeted treatment. Single individually wrapped mask.